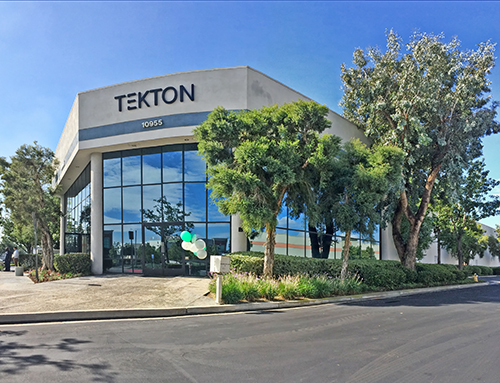 Tekton Hospitality has agreed to a seven-year lease for 118.6k sf of industrial facility in Rancho Cucamonga. The property is located at 10955 Arrow Route, south of Foothill Blvd and west of I-15. The lease value was not given out. Tekton is an American custom furniture manufacturing company that processes single and high-volume units for the hotel industry. The firm specializes in case goods, soft goods and millwork for the hospitality industry. From the design process to shipping, Tekton will be executing its entire operation at this property. Tekton President and CEO, Henry Savedra Jr., manufactured furniture overseas for more than 20 years with his previous company. Fueled by a dream to create jobs for his own country, Savedra founded Tekton as his new manufacturing company in the United States. He identified San Bernardino County as a prime location for economic growth. Randy Lockhart, executive managing director from NGKF’s Ontario office, represented the tenant in the deal. The landlord, 10955 Arrow LP, was repped by Lee & Associates.